Marco On The Bass: 'Dance Craze' Film Released 30 Years Ago Today! 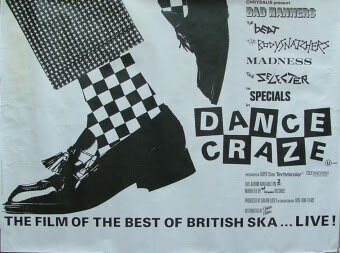 Yes, its hard to believe, but Dance Craze was released in theatres across the U.K. 30 years ago today -- February 14, 1981! The movie finally opened in the U.S. in New York City more than a year later. By then most of the bands had broken up or were in the process of doing so. Read Janet Maslin's review in the New York Times from April of 1982. If you haven't seen it, a long out-of-print version of the film is floating around the Internet and can be found quite easily. It is essential viewing. For those of you who never tire of watching the film here in all their glory are The Specials, The Selecter and The Beat. Happy Valentines Day! One of my Top 10 of all time.